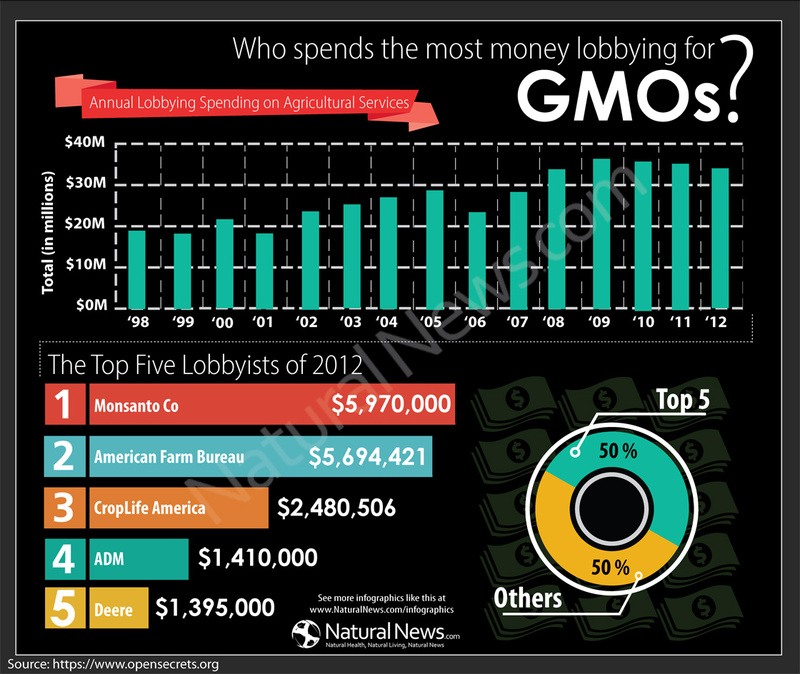 The Natural News infographic shown below reveals even more details about who’s spending the most money lobbying for GMOs and other conventional agriculture “favors” from Washington. In 2012 alone, companies spent over $30 million “influencing” Congress on agricultural issues, including making sure they didn’t pass legislation that would label GMOs or outlaw them altogether. Is it any wonder that the United States of America is one of the very last nations in the world to either ban GMOs outright or require their labeling on foods? 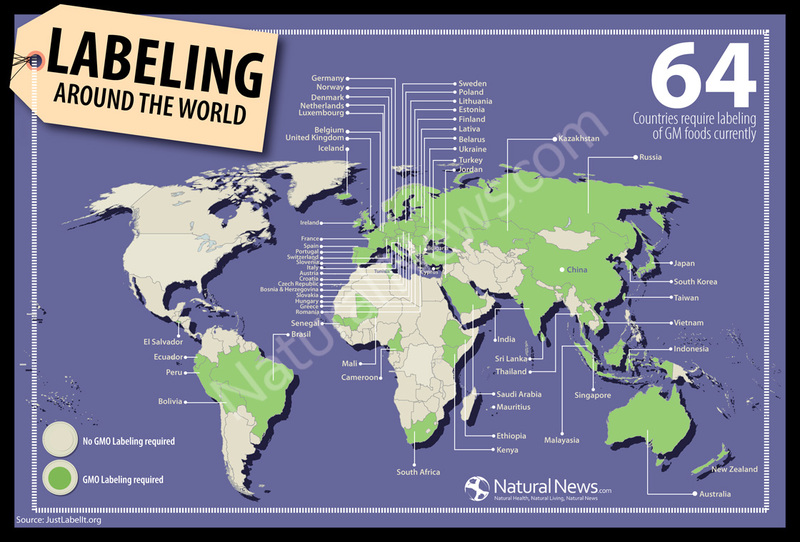 As the second infographic below shows, 64 countries require GMO labeling. 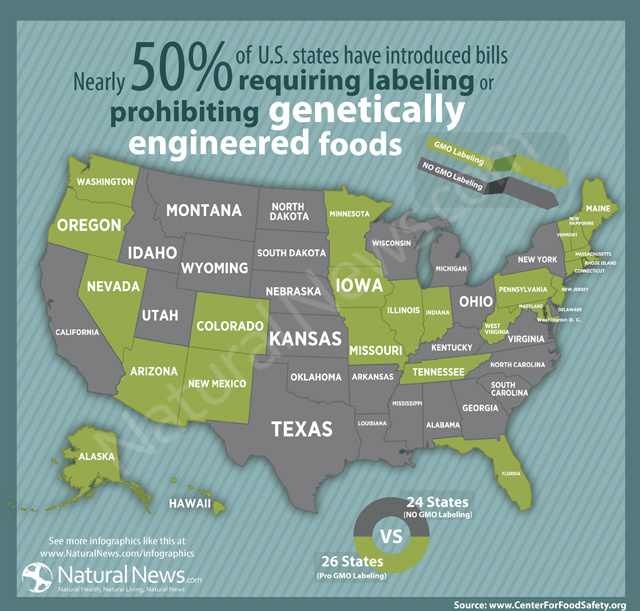 And so far, fifty percent of U.S. states have introduced GMO labeling bills of one kind or another. So the states want it, but the federal government keeps blocking it. Why is the USA the big holdout on honest food labeling? Could it be because the biotech industry keeps paying off all the politicians?